Happy Mother's Day to my wonderful mom, my mom friends and blog readers! 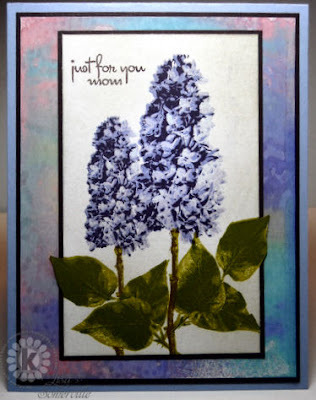 No time to create a new card for my post today, but I wanted to pass along Kitchen Sink Stamps Mother's Day Sale! From now through Monday, May 13th 2013, you can save 20% off on all your purchases at Kitchen Sink Stamps. Simply click this link and the discount will automatically be applied to your cart. Alternatively, you can use code MMD20LISA, if the link does not appear to be working. Would love to buy some KSS stamps but their server is showing they are down.